Everyone wants to get their kids reading, and a really gripping series is a great way of developing their inner bookworm. Izzy, a 10-year-old girl living in the UK, talks us through her favourite series for kids. Izzy is a 10-year-old girl living in the UK. Apart from reading, she also likes football. How did you choose your favourite kids’ book series? I like different ones for different reasons. Some are sweet and some are funny. I like some because they make me feel ‘in’ the book, like Harry Potter, Laura Ingalls Wilder, Goddess Girls and Warrior Cats. Diary of a Wimpy Kid is different, it’s more informal. I like series a bit more than books because at the beginning, it’s normal life but then at the end everything starts to unravel. You start knowing what is happening around you and why and what all the secrets are. With a series, also, you don’t have to keep picking a new book, you can just get the next one in the series, and you already know all the characters and the author doesn’t have to explain it all over again (though sometimes they do). I love it because it’s something you can do in your own time. You can snuggle up inside your bed or somewhere cosy and read. It’s just really nice, you don’t have to be sitting up straight. Every once in a while you can drift off to sleep. It’s just very relaxing and calming. OK tell me about the kids’ books series you’ve picked for us. Which is your absolute favourite? 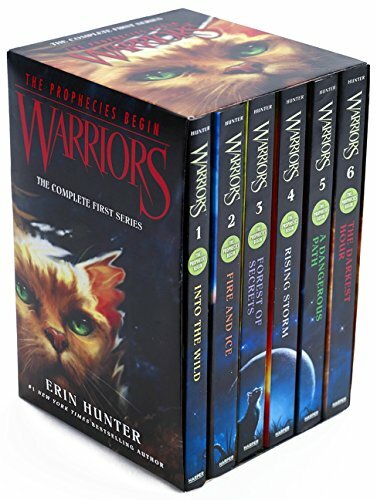 Warrior Cats. It’s just really different from all the other books I’ve read. It really gets you into the place you’re reading about. There are so many different cats, and you end up knowing all the names, as if you actually know them in real life. The way the author makes you believe in the book is really amazing. She can put so much description and so many different feelings into the book, so that you feel you’re there. It’s really good. You have to read it. So it’s about cats who are warriors? It’s about cats who are in four separate clans, and every now and then there’s a fight to protect their territory. Sometimes cats die. There are different types of names, as you move through the ranks. You spend six moons in the nursery. Then you move up and become an apprentice and spend six moons there (then you have a name like something-paw). Then you move up and become a warrior. You spend as long as you possibly can there and then, when you feel you’re too old, you move down into an elder, where you stay until you die. Do you identify with one clan or do you get to know all of them? Most of the series is based on Thunder Clan, which is the clan which lives in the woods. The other clans are Wind Clan, which lives on the moor, Shadow Clan which lives in the pine forest, and River Clan which lives by a river. Everyone has different points of view about who their different clan is, but personally I think Thunder Clan is the best. It’s not very violent, just a tiny bit. They have battles between clans and in one there is a giant mixup and all the clans fight. Some cats die sometimes, but mostly they just get injured. But it’s really the cool the way they describe how they fight, they duck and they move back and they pounce. 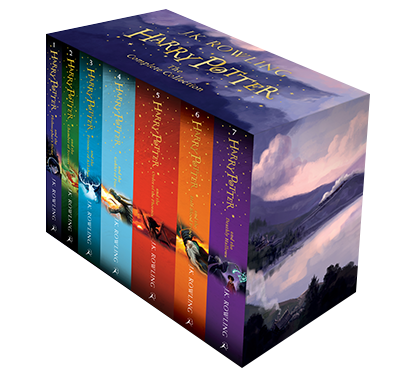 Ok tell me about the next series you like, Harry Potter. Most people have heard of this. Why do you like it so much? The writer is really imaginative, it’s different from other books I’ve read. It’s funny and sad at times. It’s emotional when someone dies, it’s a shock to the heart. Harry has to keep getting away from Voldemort who is trying to kill him. What I like about this series is that at the end everything comes together, like pieces of a jigsaw. Sign up here for our new newsletter that will feature the best children's and young adult books, as recommended by some of the best-known authors in the business. I read the series when I was younger with my parents, but now I’m older, I understand a bit more the different parts of the story I didn’t get back then. 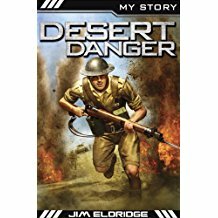 Anyway, everybody has already read this series, so I’m not going to explain more. Once you start reading it, you don’t want to stop. Sometimes I read it in the car on the way to school, and I get really disappointed when I see school, because I have to stop reading and put the book down. Then I read again on the way home. There are some really funny parts, with Fred and George who are probably my favourite characters. The next series you’ve chosen is Diary of a Wimpy Kid. I often see you giggling when you’re reading that series. 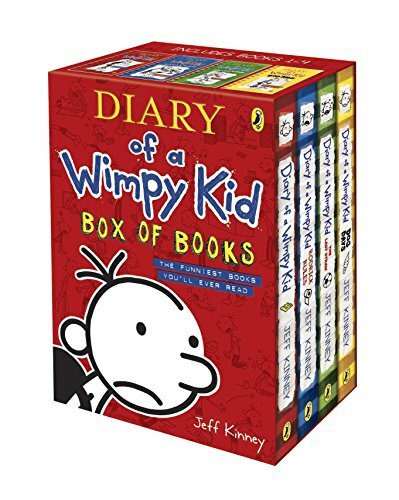 Diary of a Wimpy Kid is quite hard to describe because it’s just basically a normal kid who writes in a diary. But this kid is always trying to get muscles and get stronger, but after he’s bought everything, all the equipment, then he decides he doesn’t want to do it. He decides he’s actually not bothered. He’s pretty unlucky because his brother, Manny, who is three, is always doing stuff which really winds him up. Like he circles everything on the list for Christmas and gets everything, whereas Greg only gets black socks and a math book. Because he’s just so self-centred. It’s really hard to put on a paper. He has some pretty odd moments when a pig starts trying to talk to him and use his toothbrush, and he really freaks out. He’s always doing stuff to get out of things. Like he drew a six-pack on his tummy with a black marker. When he went to a school prom and he had to dance he did just tiny steps. Kids who like comedy would probably enjoy this series, because it’s really funny and he does really dumb things which make me laugh. OK now we’re on the Goddess Girls series. What’s it about and why do you like it? I like it because it’s all the Greek gods and goddesses as if they’re in high school. They’re all kids. Their school is MOA, which stands for Mount Olympus Academy. There are these four main girls, Persephone, Athena, Aphrodite and Artemis, who are basically all friends. In the book I’ve just read, they’ve decided that it’s unfair that only boys get to do Olympics, so they’ve just invented their own girls-only Olympics. They call it Hera Olympics, because Hera helped them do it (she is the wife of Zeus). You like Greek myths generally? Yes, I like the way all those people have those adventures. 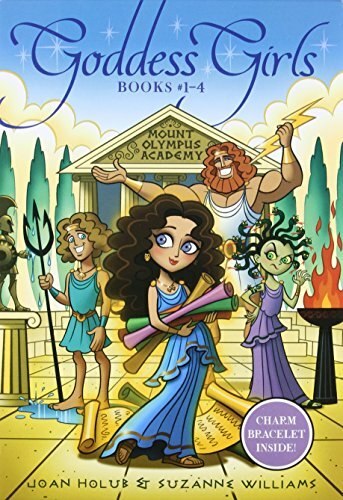 We listened to Mythos on the way to school (which I enjoyed but there was too much kissing) and we have a book at home called 100 Greek Myths, which I read as well. 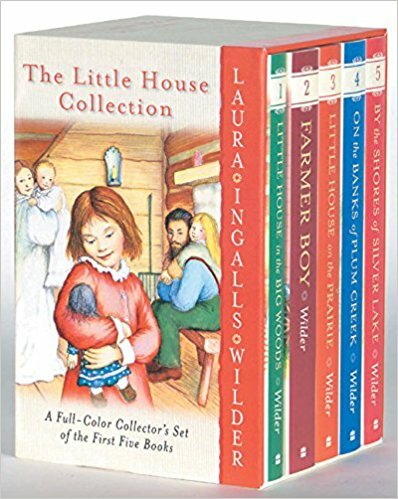 Finally we have the Laura Ingalls Wilder series, which is non-fiction, based on her experiences as a pioneer girl, going West in America in the 19th century. I like it because I was born in America and it’s based in America. I think it’s really sweet the way she lives. When they get a shop-bought thing, they all get excited because most of the time they have to make everything themselves—the dresses, the food, the drink, the entertainment. 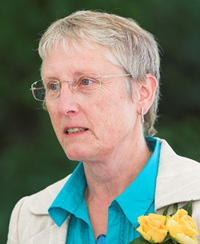 In one of the books Mary, Laura’s older sister goes blind and from then on Laura has to be the one who has the full weight of making money, because she is the oldest able worker of the children. She works hard as a teacher and as a seamstress to create enough money for her sister to go a school for the blind, where she learns to read Braille. It gives you a taste of what life was like before. I think, personally, that it was actually quite nice, living like that, out in the wild having fun, but I’m not sure I’d say the same if I was actually doing it.